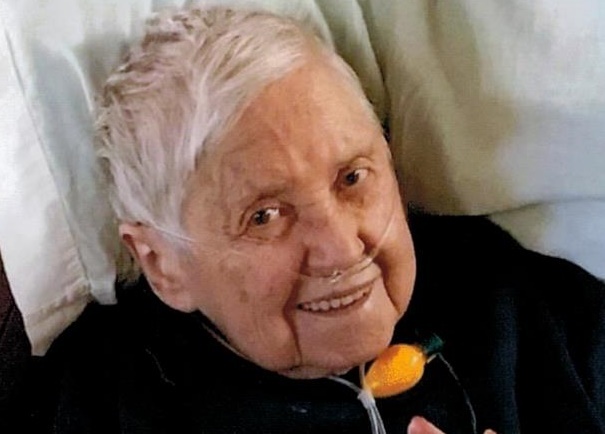 Edith Eileen Kelley Martin Deiwert, 94, of Dugger, IN passed away Wednesday, November 28, 2018 at Glenburn Nursing Home in Linton, Indiana. She was born in Marietta, IN February 20, 1924 the daughter of Leroy Kelley and Edith Mohr Kelley. She was preceded in death by her parents, her husband, John Deiwert in 2004, a sister, Carolyn Weddle and a grandson, Mike Swan. She was formerly employed at Lanny’s Lucky Dollar in Dugger, IN. Survivors include, three sons, Danny Martin (Sandi) of Muncie, IN, Ronnie Martin (Sue) of Arcadia, FL, Marvin Martin of Princeton, IN, a daughter, Linda Swan (Fred) of Dugger, IN, 9 grandchildren, 21 great grandchildren and 31 great great grandchildren, three best friends, Susan Perigo, Joe and Linda Mentillo and Dianna LeDune. Graveside services will be at 1:00PM Friday, November 30, 2018 at Miller Cemetery in Shelbyville, IN with Paster Randy Tucker officiating. There will be no visitation. Arrangements were entrusted to Newkirk’s Funeral Home.